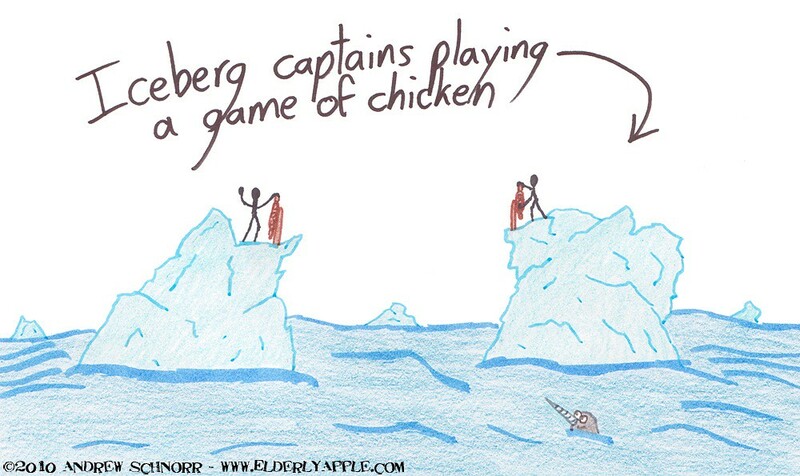 Also, I think that having an iceberg as your vessel of choice would be a great idea. If the Titanic has taught us nothing else (and it hasn't), it's that icebergs can take a knockin' and keep on rockin'! and here i thought i'd be the one to comment on the narwhal. in that case, i have to ask: are those two just stick figures? and if that's the case, are they...NAKED? !